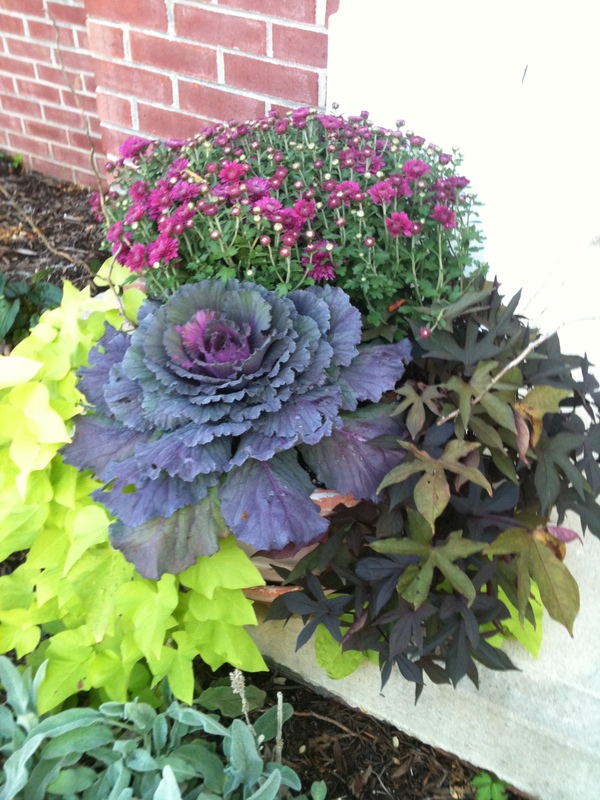 I love Fall and gardening, so here is a picture of the flowers by my front door. I think the colors are gorgeous! The greens and purples make me happy so I have it as my wallpaper on my iPhone. I like the cool nights and warm, sunny days of Fall- although its been rainy here lately. But I like that too! At least my garden likes it. Every season has something good about it. To me Fall means – apple cider and trick-or-treating; sweaters, jeans and boots; hiking in the woods through Fall foliage; pumpkin bread and apple pie! And soccer, soccer, soccer all the time! 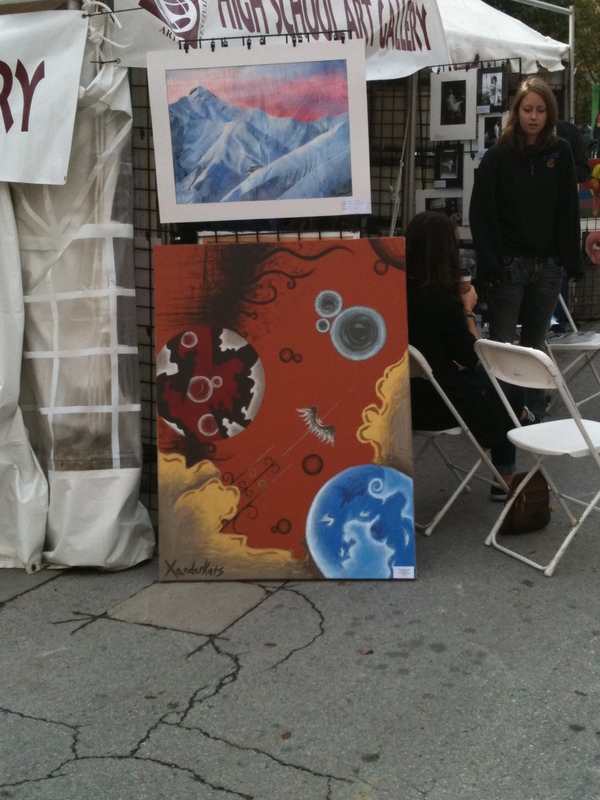 Awesome artwork by XanderKats (my son) at the Arts Festival (just the big one on the bottom)! I’m doing more research for my next novel, tentatively titled THE FIELD. I went to the Butler University Observatory and saw a presentation in the planetarium on Jupiter and its moons. Did you know that the moon Europa is covered with ice with an ocean up to sixty miles deep underneath? Because it has a metal core it has a magnetic field and generates heat so scientists postulate that heat vents in the ocean (like those in the oceans of Earth) might be the perfect place to harbor LIFE!!! Not acutal aliens, though, more like bacteria, but LIFE nevertheless. We didn’t get to look through the telescope because it was raining, but it was still pretty cool. I will be going back on a clear night to view the stars. The Universe is amazing!